I love the IKEA monkey. 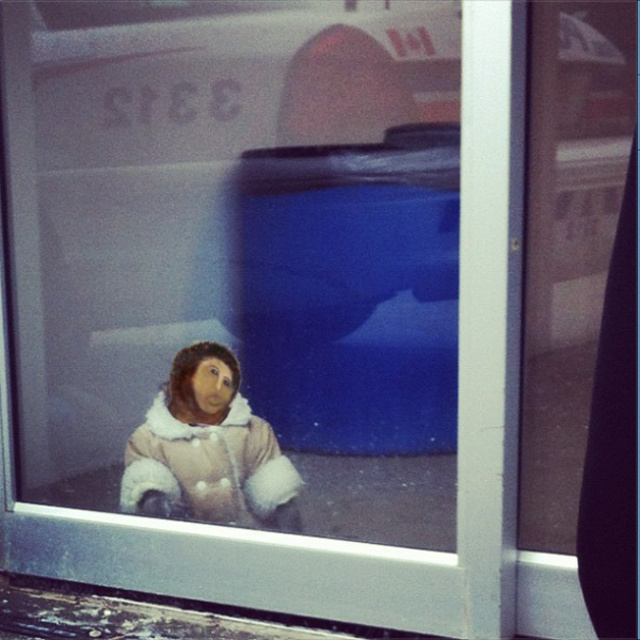 A little Rhesus Macaque wrapped in a fashionable shearling coat was found wandering an IKEA in Toronto. 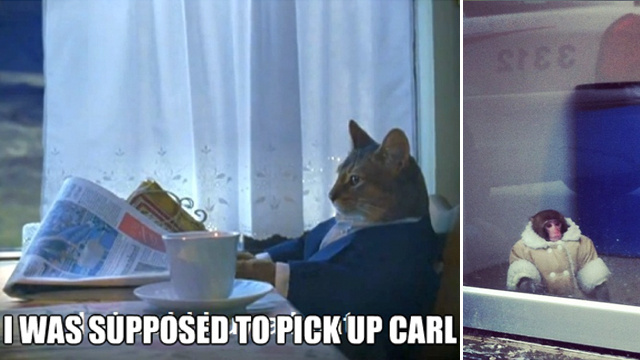 Apparently, while in his owner's car parked outside the Swedish furniture giant, he managed to open his cage gate and then the car door and wander into IKEA. The scent of wafting meatballs must have been too tempting to withstand. But I think I love the memes more. Pinched from Gawker.